Please join us for a Community Welcome Luncheon in honor of Consul General Akira Chiba as he begins his stay in the Southern California area. In the interest of time, credit card payments are the only accepted form of payment. Reservation and payment must be made by Tuesday, August 30, 5:00pm to be seated at the JASSC table. Complimentary admission to Japanese American National Museum is offered to lunch attendees. 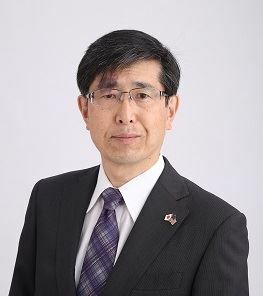 Consul General Akira Chiba was born May 1959 in Tehran, Iran and graduated from University of Tokyo in 1984 with a bachelor’s degree in law. He studied two years at Peking University and received a masters degree in Asian studies in 1988 from UC Berkeley. He entered the Ministry of Foreign Affairs (MOFA) in 1984. His previous postings include deputy director general, Secretariat, Science Council of Japan, Cabinet Office (2015); minister, deputy head of mission, Embassy of Japan, I.R. Iran (2013); and minister (congressional affairs), Embassy of Japan in the United States (2010). Consul General Chiba was a lecturer at the University of Tokyo in 2005 and is the author of a number of major papers for academic publications.